Any family dentist in Calgary will tell you the importance of your child’s first dental visit. Their first interaction with a dental professional will likely set the tone for how they react to future visits for years to come. That’s why it’s important to make sure this first visit goes smoothly. At 4th Avenue Dental, our friendly and professional staff will make sure your child is calm and comfortable throughout their first visit with Dr. Kevin Schade. Keep reading to find out more about what you can do to make your child’s first trip to the dentist an absolute breeze. Finding the right dentist can be challenging, but it’s not impossible. Be sure that your dental clinic is clean, friendly and professional. 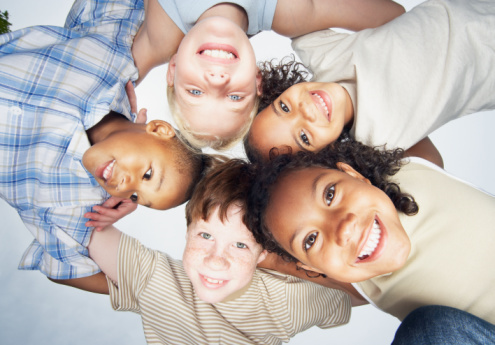 Meet with the dentist first and see how they interact with the other children in their office. At 4th Avenue Dental, our staff is both friendly and approachable. Upon their first visit to the dentist, your child will likely be no more than a year old. Preparing an infant for a dental visit is difficult. Since it is difficult to make them understand the importance of their dental visit, use positive language and soothing tones to get them ready to cooperate with the dentist. A good way to instill positive habits in your child when going to the dentist is to set up a reward for their good behaviour. If everything goes smoothly, take them to the park or out for a special treat after their appointment. Your child will associate future dental visits with that positive feeling they felt after their first visit.